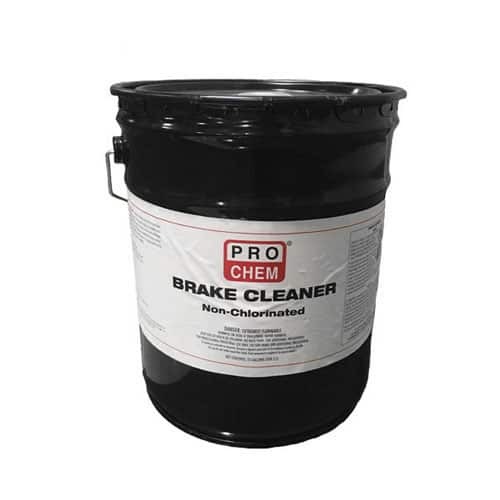 Brake Cleaner | Pro Chem, Inc. Pro Chem BRAKE CLEANER is a high quality product that can be applied to discs, drums or CV joints to lift and wash soil, grease, oil, fluids and contaminates without disassembly of the brake system. Pour into chemical resistant sprayer. Apply generously to the work surface to be treated. Allow to either air dry or wipe dry with a soft cloth. Note: If used on painted or plastic surfaces, it is recommended that the product be tested in a remote area to insure compatibility.